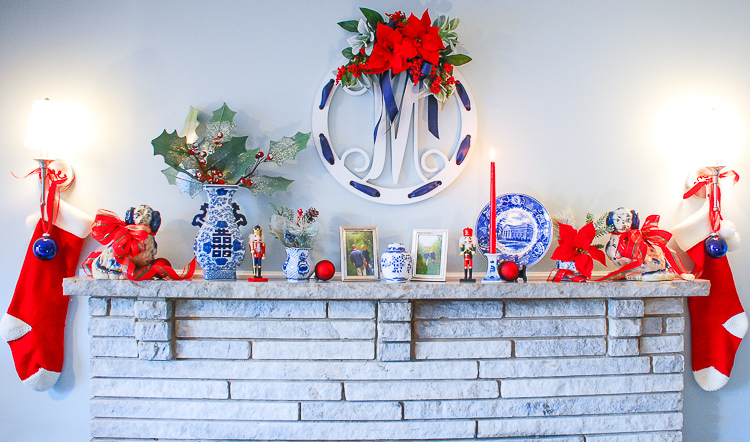 Transition your blue and white mantel decor from fall to Christmas in just a few easy steps with pops of a seasonal accent color. Switch the orange for red and decorate for two seasons with little effort! 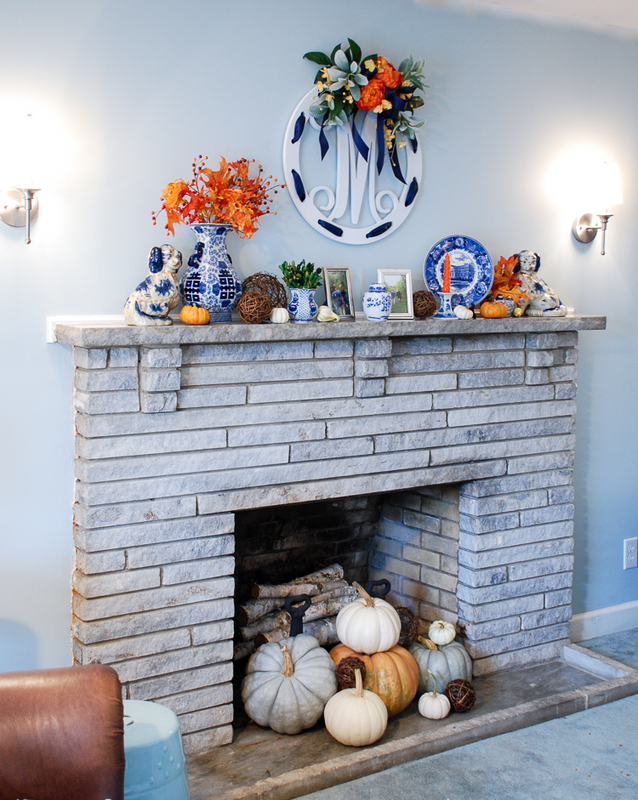 I hope y’all remember my blue and white fall mantel with the DIY monogram sign and my pair of Staffordshire spaniels. Yes? 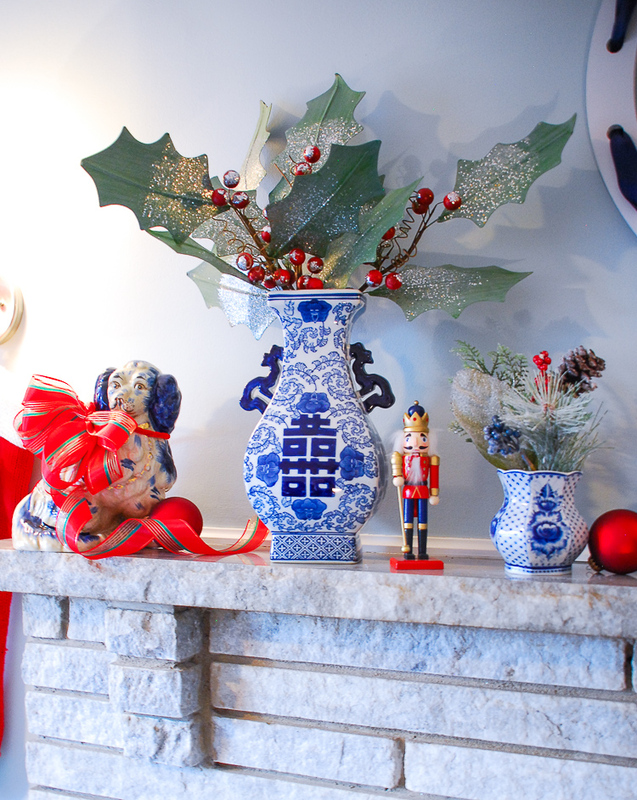 Well I decided to keep things really simple for Christmas decor and leave the blue and white china on the mantel. 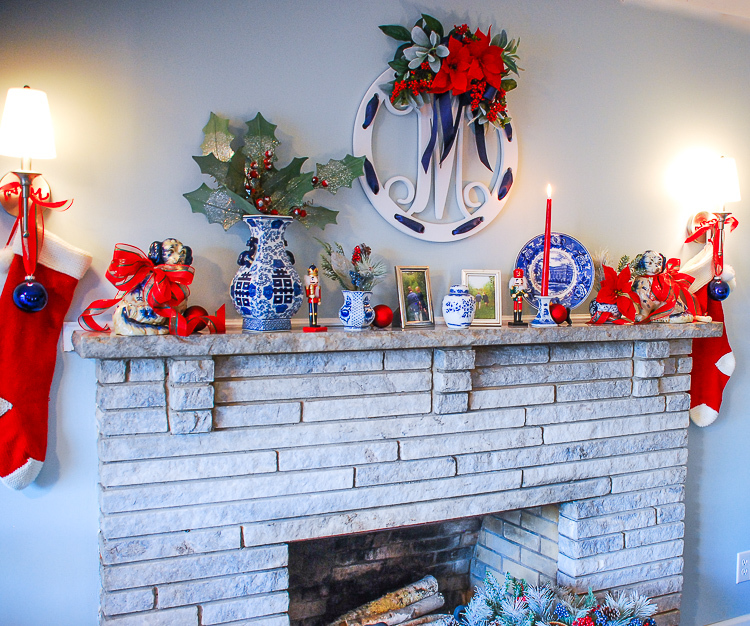 I switched the orange accents for red ones, and voila a wonderfully festive Christmas mantel for the family room! 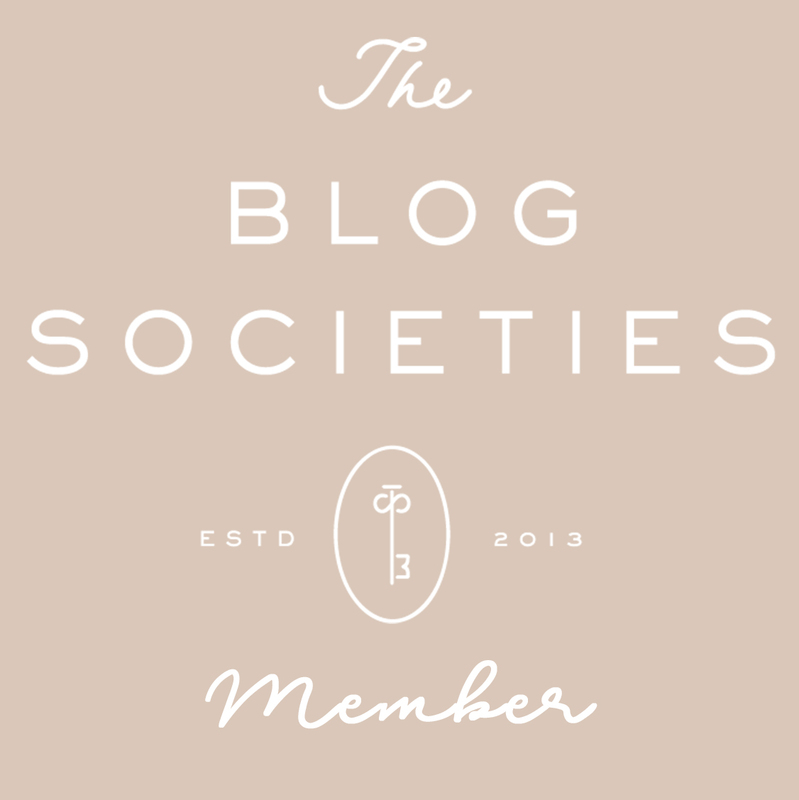 See how I made the monogram sign here. 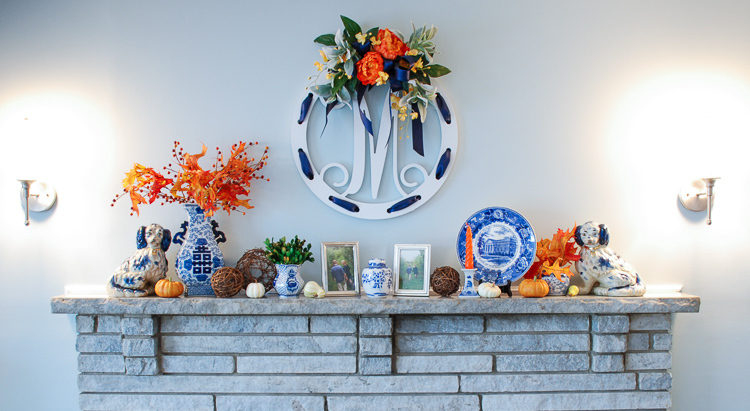 To transition my blue and white mantel decor from fall to Christmas, I first changed the two main floral accents: the monogram sign topper and the vase filler. To do this I simply pulled out the orange and yellow flowers and replaced these with red poinsettia and berries. I filled the vase with giant paper holly sprigs. 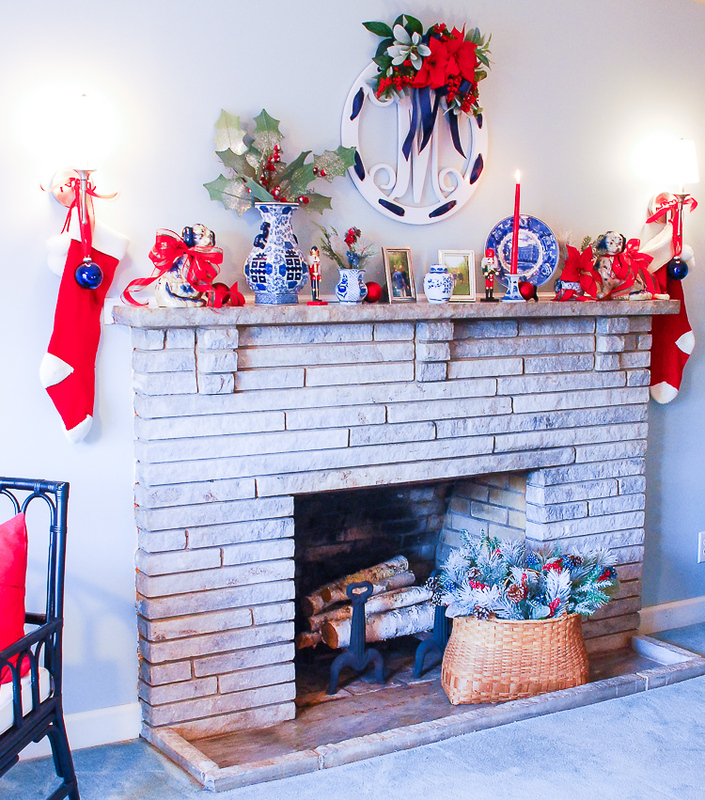 There are two additional floral elements on the mantel: small vases one with boxwood and one with fall leaves. Here I swapped the boxwood for pine and the leaves for a poinsettia. This really helps coordinate the monogram sign with the fire board. In the fall mantel, I used small decorative elements to fill out the decor with willow balls and mini gourds. I removed those for the Christmas mantel and replaced them with nutcrackers and red ornaments. I also bedecked the spaniels with beautiful red bows. I love the added whimsy and fun this creates. Learn how I tie a multi-loop bow with this video. Sad to say but the beautiful heirloom pumpkins had to go. They were starting to “wilt” anyway. 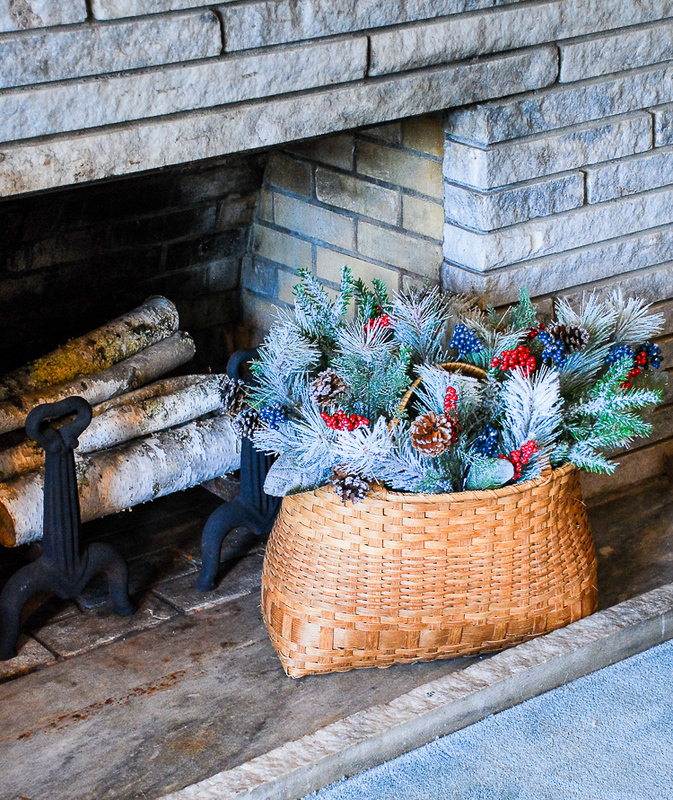 In their place, I used a big basket of flocked pine branches accented with pinecones and red and blue berries. I love how this looks! What are you doing to make your Christmas decorating easier this year? Share your tricks below! 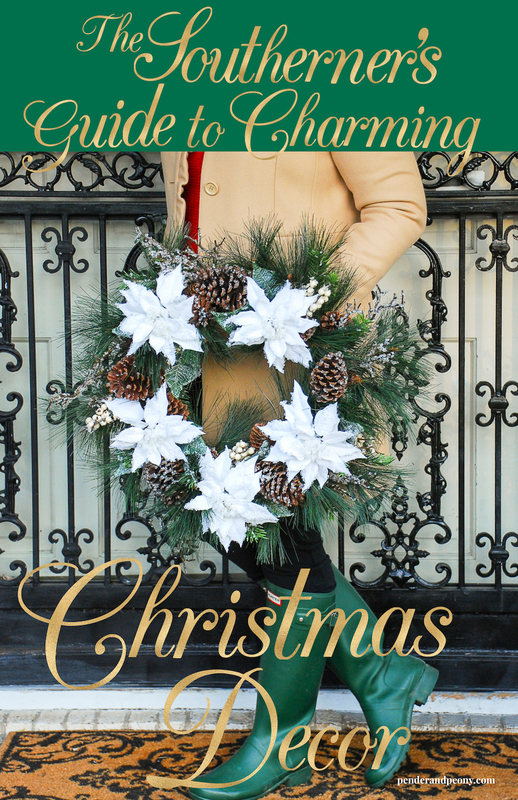 Want more Christmas decorating ideas and tutorials? 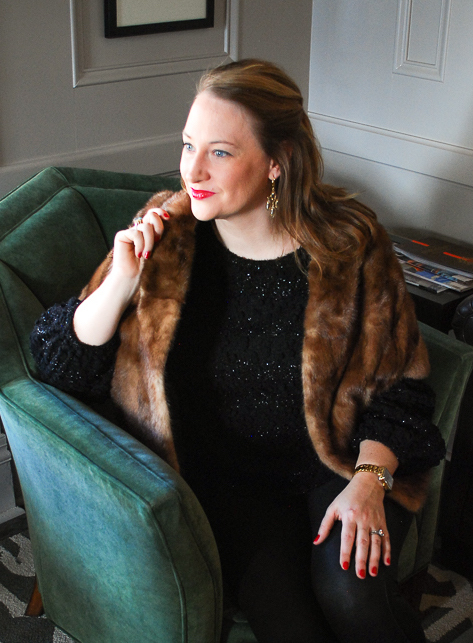 Sign up for the P&P Social Circle, and I will send you access to the Southerner’s Guide to Charming Christmas Decor filled with DIY videos and tons of decorating inspiration!